NEW! Purchase your raffle tickets in advance on the Register/Buy Tickets page. Resting along the Hood Canal, Alderbrook Resort & Spa is a great reminder of why we love the Pacific Northwest. Take advantage of a one-night stay, bottle of wine and $50 dining credit to the Alderbrook Restaurant to enjoy fine cuisine and a peaceful getaway. Includes a copy of John Quiñones' book “What Would You Do? Words of Wisdom About Doing the Right Thing”. Spanning 2 circular towers, this polished hotel is a 3-minute walk from Pacific Place Mall, 0.4 miles from Pike Place Market and 0.8 miles from the Space Needle. The airy rooms have mountain, water or city views and feature flat-screens, WiFi access and sitting areas. Top category suites add parlors, sound systems and refrigerators. In-room spa treatments are available (fee). Amenities include a heated indoor pool and fitness facilities. Includes a bottle of wine to kick things off. GOOOOOAAAALLLLL! Get ready to show some love to our own Sounders FC with 4 club-level tickets to the October 23rd game against Real Salt Lake! Yell your favorite chants while rocking your new official Sounders jerseys and celebrate after the game with an added bottle of wine. Use your new Brad Evans signed soccer ball to relive the greatest moments from the match. Ever wondered what makes a big event like Kaleidoscope tick? Go behind the scenes for a special VIP experience! Lend your sophisticated palate and join event organizers for a 3-course tasting extravaganza to choose next year’s dinner menu. Enjoy the fruits of your labor with two free tickets to Kaleidoscope 2017. Includes a unique Kaleidoscope keepsake. Need to recharge and reconnect? Take your family for a 2-night stay on beautiful Harstine Island! Located in south Puget Sound, Harstine is an ideal base for exploring the Olympic and Kitsap Peninsulas. Whether you’re looking to get out and hike in the rainforest, or just kick back and take in the gorgeous views of the sun setting over the Olympic Mountains: Harstine has something for everyone. Your home away from home includes two bedrooms, two bathrooms, a fully stocked kitchen, a private deck, and wonderfully cozy fireplace. As a guest of the Harstine Pointe Community, you’ll also enjoy many amenities including access to beaches, picnic facilities, tennis courts, an exercise area, heated spa and pool (summer only), trails, clubhouse with ping-pong, billiards, games, and a library. Need a beauty boost? Treat your skin to a complete Skin Rejuvenation Package at Natural Rejuvenation Medspa. This premium package is valued at $1500 and includes 7 refreshing skin-care visits and a wide range of services, including microdermabrasion, collagen induction, and other therapies aimed at improving skin health and appearance. Take in the gorgeous view of Lake Union and the Seattle cityscape while dining at one of Seattle’s finest restaurants. 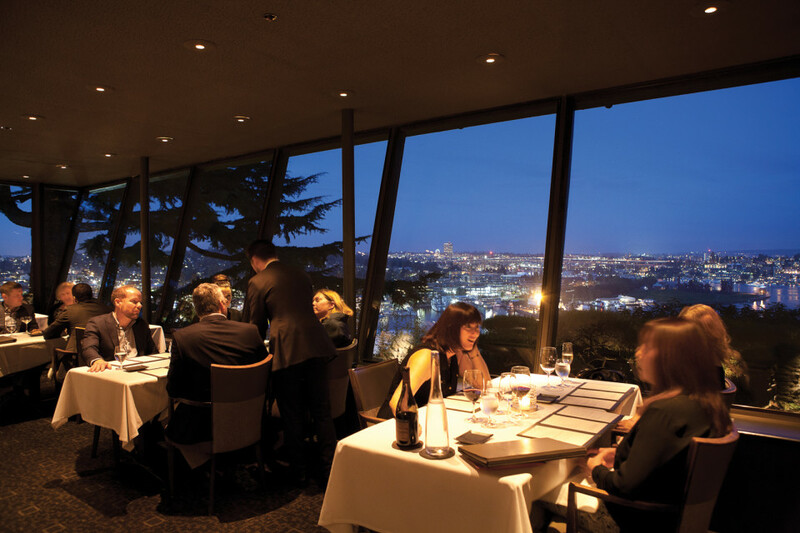 Known for its outstanding service, award-winning Northwest cuisine, and romantic ambiance, Canlis is a Seattle icon. Note: Golden Raffle tickets (limit 75) are available for purchase only during the Kaleidoscope Reception from 5:30 - 7:00 p.m. on September 29.